I have a habit of glancing at the back of quarters to see which state or event is celebrated. Recently, the backside was a picture of Ellis Island. 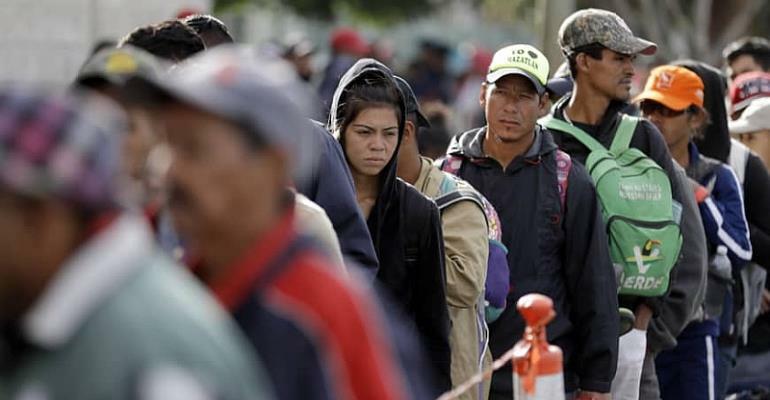 The Republican platform of 1864 stated, “Foreign immigration which in the past has added so much to the wealth, resources, and increase of power to the nation…should be fostered and encouraged.” www.libertyellisfoundation.org/. God created America to be a beacon of light to a world held hostage by despots. The open arms of the United States embraced human beings from war torn countries, lands of famine, and religious persecution. Even when the pilgrims wronged Native Americans, God continued to use America. Even when Americans bought and sold African human beings during the era of slavery, God continued to use America. Even when Americans killed Americans in the Civil War, God continued to use America. Even when Japanese American citizens were forced into detention camps after the attack on Pearl Harbor, God continued to use America. God hasn’t changed. America continues to be a blessed nation. “Does America have a duty to keep its doors open to the world? Can immigrants keep their own culture and language, and still be called Americans? Is continued economic growth in America dependent upon a liberal immigration policy? The debates will certainly continue, as new immigrants arrive on our shores daily, bringing with them their own histories, traditions, and ideas, all of which broaden and enrich our sense of what it means to be an American.” www.libertyellisfoundation.org/. Matthew Soerens and Jenny Yang of World Relief offer resources “Welcoming the Stranger: Justice, Compassion & Truth in the Immigration Debate” and “Discovering and Living God’s Heart for Immigrants: A Guide to Welcoming the Stranger.” How do Americans balance Biblical compassion and justice in today’s refugee crisis? What does the Bible say? www.worldrelief.org. First, replace the word “immigrants” with the word “humans.” That’s what I say. Close your eyes. See each individual without your sight. Freeze discrimination, prejudice, and bigotry. Suspend hatred, fear, and hardness of heart. Imagine the person as your mother, father, sister, or brother. Imagine the person as your child. Just imagine. Before you open your religious books, before you pull out your morals, before you voice your political opinions—see a human being. People like you—people like me. People. Human beings. It is easier to show kindness and compassion, sympathy and empathy to family members and relatives, nice neighbors, and a circle of friends, than strangers and those whose skin is a different color, speak a foreign language, worship another deity, wear funky clothing, or eat radical foods. We have no choice but to gaze into the future with hope for humankind and to diligently strive and struggle for a better way of “being” and “doing.” To give in and to give up is not an option. Human beings are worth saving—humanity is worth saving. You are worth saving—I am worth saving. We are us. Humanity is global. We are the human family. Melissa Martin, Ph.D, is an author, columnist, educator, and therapist. She lives in U.S.